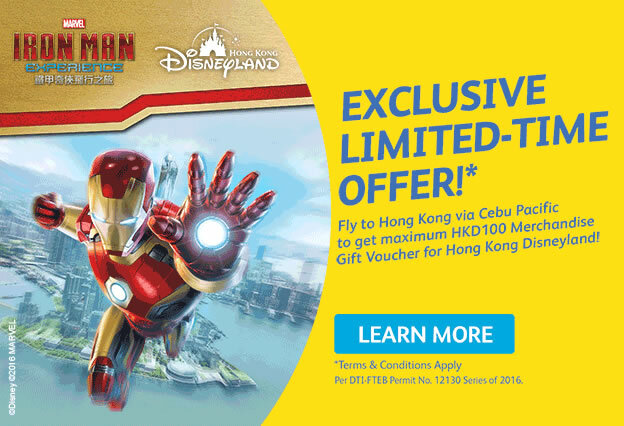 Fly to Hong Kong via Cebu Pacific to get maximum HKD 100 Merchandise. Gift Voucher for Hong Kong Disneyland! from November 15 – 30, 2016. Available only within travel dates from December 1, 2016 to May 31, 2017. This special offer can be redeemed from December 1, 2016 – May 31, 2017. Get HK$100 Merchandise Gift Voucher upon purchase of Hong Kong Disneyland 1-Day Ticket (General Admission). Get HK$50 Merchandise Gift Voucher upon purchase of Hong Kong Disneyland 1-Day Ticket (Child). Offer valid from November 15-30, 2016. Eligibility: Guest must have purchased the Air Ticket from Cebu Pacific during promotion period / booking window. 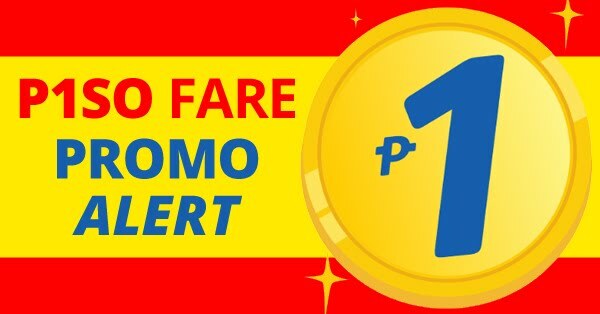 Eligible guest will receive a promo code which will be provided at the confirmation email after purchasing a Hong Kong bound Cebu Pacific ticket. Eligible Guest needs to input the promo code when purchasing a day ticket in Hong Kong Disneyland booking page. During booking window, Eligible Guest may do a one-time purchase of this offer via the designated link. Eligible Guest may purchase up to 4 Park Tickets in this single transaction. Park Tickets and vouchers can be redeemed at Hong Kong Disneyland Ticket Booths by presenting (i) the Cebu Pacific boarding pass or airline reservation confirmation, (ii) the credit card used to purchase the Park Tickets and (iii) the HKDL.com confirmation number issued after purchase. Use of Merchandise Gift Vouchers is subject to Terms and Conditions printed on the vouchers. Employees of Cebu Pacific Air, their affiliates, their advertising and PR agencies, including their relatives up to the second degree of consanguinity or affinity, are not qualified to join the promo.